When couples who have children together are contemplating splitting up, figuring out a feasible child custody arrangement should be a primary consideration. Sometimes, couples can come to a custody agreement without getting the courts involved. However, when couples cannot agree on a custody arrangement, the courts must consider certain factors that are enumerated in New Jersey law to determine how to award custody to the respective parents. 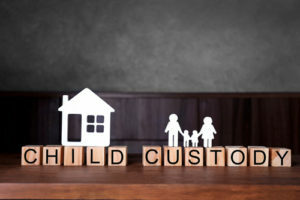 This article explains the 14 factors New Jersey courts will consider in determining how to award custody to the children’s respective parents. Joint custody typically means that both parents will share legal custody, the ability to make important life decisions for the child, and physical custody, the ability to spend time with the child, on a 50-50 basis. An award of sole custody with the noncustodial parent receiving appropriate parenting time means that one parent will be granted legal and physical custody of the child while the other parent will be award specific periods of visitation with the child. Besides joint and sole custody, the court may, depending on the specific circumstances of the case, make a custody award that falls somewhere in the middle of joint and sole custody. For instance, the court may grant parents joint legal custody, but award one parent primary physical custody while the other parent is award partial custody or visitation. Depending on the specific facts of the case, New Jersey courts will consider all of the above factors and weigh said factors with one another. If all or most of the factors do not strongly militate in favor of either parent, the court may be more apt to make a joint custody award. Conversely, if all, most, or even certain factors like of the safety of the child and history of domestic violence militates strongly in favor of one parent, the court may be inclined to award that parent sole custody and the other parent periods of visitation. The most important takeaway from this article should be that custody awards are based on fact specific considerations. Therefore, every award of custody will be unique and it is prudent to consult with an experienced attorney before filing custody actions. If you are thinking about filing for divorce, or if you have already started the divorce process and are dealing with another matter such as child custody, child support, or property division you need to speak with a qualified attorney. The New Jersey family law attorneys at Rudnick, Addonizio, Pappa & Casazza, PC represent clients throughout the state, including East Brunswick, Manalapan, Middletown, and Edison. We understand how challenging this time can be for you, which is why we will fight hard to protect your interests, and the interests of your loved ones, throughout the legal process. Contact us at (866) 567-0135 or fill out our confidential contact form to schedule a consultation. We have an office conveniently located at 197 State Route 18 South, Suite 3000, East Brunswick, NJ 08816, as well as an office located in Hazlet, NJ.